Tuesday 8th March- Australian Market Wrap | Beeks Downunder-Because not all financial news is boring! 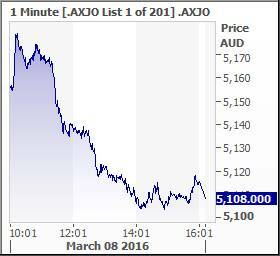 ASX 200 finishes down 34.8 points at 5108 as resources retreat and financials finish lower. Broad-based losses with gold one of the only sectors to improve. Big range of 5182 to 5103 on heavy volumes. Asian markets under pressure on Chinese economic numbers with Japan continuing to suffer from scepticism. 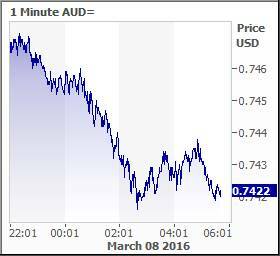 AUD taps out at 74.35, US Futures down 53. Expect more selling tomorrow. As with most things in life, anticipation is sometimes far better than delivery. And so it was as the great resource short squeeze ran out of puff around midday. It was hardly surprising and ‘rinse and repeat’ can only be sustained for so long. The huge move in commodities initially had the market rocking but reality bit, as the deal that Fortescue Metals pulled out of the hat, on closer examination, may not have been what the market really wanted. After a 25% rally yesterday, it was due for some profit taking. 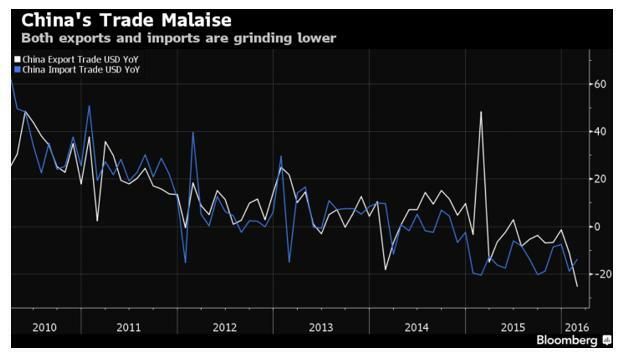 As FMG cooled, BHP delivered the final nail in the recent rally coffin, suggesting that times are still tough in the iron ore business and they expected supply to continue to outweigh demand, despite moves from the Chinese government to get things moving again. BHP seemed happy to tip the large bucket of ice water over the sector which was not in the script and the shorts must be licking their wounds and wondering why the heck they paid over 300 cents for FMG yesterday. Not that there was any leakage of the news to come, of course. The market tried valiantly to hang in for as long as possible before the Asian markets came on stream at 11.30 and we slipped back towards 5100. The rally has undoubtedly been fuelled by significant short covering and we may have seen the blow off top on Monday afternoon. The range is still 4750-5150 and having had a go at the summit and been repelled, we need to come back down to a lower altitude and build up strength again. We are only one week away from the Fed. The Ides of March. Never a good time. We would expect to see consolidation and some back filling. Things got a little out of hand there for a minute, especially yesterday afternoon and we were almost in ‘irrational exuberance’ territory. Those were the days. 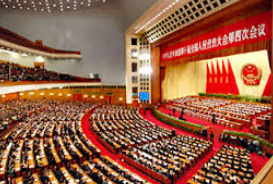 Something to bear in mind, the NPC in China is basically theatre. Like the USSR old May Day parades, it is a chance for the world to see how powerful a country is. A huge gathering of the party faithful is all about perception. We got this. We have control it’s ok. Soothes domestic nerves and pays lip service to a feeling that decisions are made almost democratically. Of course nothing could be further from the truth. It is a Communist country with a command and control economy. Do not let pictures of smiling delegates fool you. We will need to see some action rather than fine words. 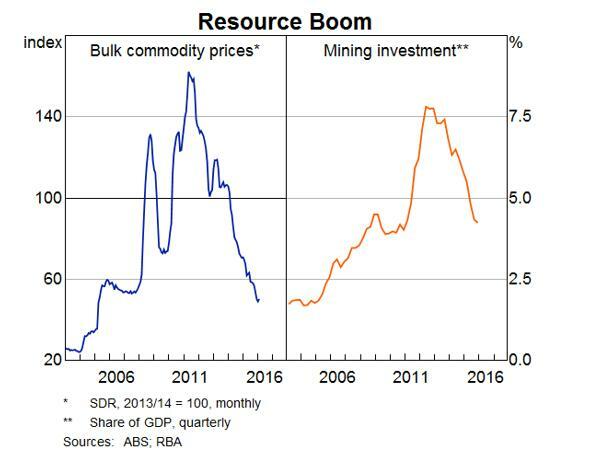 Resources took a breather today from a week of solid rises. BHP -1.83%, RIO -2.6% and Fortescue Metals -9.42% all reversing early gains on the ‘fat finger’ iron ore price rise. The only winners were in the gold sector with OceanaGold Corp (OGC) +8.47%, Regis Resources (RRL) +3.04%, Northern Star (NST) +2.84% and St Barbara (SBM) +5.77%. South32 (S32) +5.19% continues to push higher but selling should start to come in after the huge rise from below 100 cents. Base metal stocks were easier, Sandfire Resources (SFR) -4.71%, Independence Group (IGO) -3.64% and Iluka Resources (ILU) -1.14%. Energy stocks went a similar way to the big miners as enthusiasm waned and shorts were sated. WorleyParsons (WOR) -9.47%, Woodside (WPL) -0.33% and AWE -2.7% the main ones in the spotlight. Financials continue to be dogged by bad press. The Four Corners program last night did nothing for Commonwealth Bank (CBA) -1.87% and the ongoing ASIC investigation is casting a cloud over the sector, despite the RBA Deputy saying that the banks were ‘very resilient’ to a housing downturn. Australia and New Zealand Bank (ANZ) -1.96% and National Bank (NAB) -1.4%. Wealth managers and insurers were easier Platinum Asset Management (PTM) -2.73%, Henderson Group (HGG) -1.48% and Macquarie Group (MQG) -2.11%. REITS held firm again as defensive plays. Scentre Group (SCG) +3.05% the best of the bunch. Once again we had fruit salad in industrials. IT was weaker iSentia (ISD) -4.86% and Migme (MIG) -10.53% taking a hit with healthcare also coming in for some profit taking. Mesoblast (MSB) -6.53% one of the huge winners last week as shorts covered, coming back to earth with a thud. ‘Clean and Green’ still unloved at the moment with Bellamy’s (BAL) -1.55%, Bega Cheese (BGA)-1.97%, Blackmores (BKL) -1.14%. Telcos flat lined with TPG (TPM)-2.38%, Telstra (TLS) -0.58% and Vocus (VOC) +0%. Speculative stock of the day: Byron Energy (BYE) +29.03% following positive drill results from the Gulf of Mexico. Hydrocarbons in SM-6#2 were consistent or better than observed in offset wells. Potential for positive reserve revisions. Otto Energy (OEL)+51.61% is also part of the JV. Fortescue Metals (FMG) -9.42% stunned the market with its announcement this morning that it was going to sign an MOU with Vale to blend some of its ore products. You would think this is hardly earth shattering. Blending has been part of FMG optimisation plans for a long time. But with Vale. The market wanted more and although it initially cheered the deal especially given it said that Vale may invest directly in FMG shares up to 15%, eventually profit taking was too tempting and we saw the shares retreat substantially. Nev Power was out and about extolling the virtues of the deal with potential for higher recovered prices and growth in volumes. Looks like Mr Packer is continuing his quest to take Crown Resorts (CWN) -0.33% private having had meetings with Blackstone Real Estate over the last few weeks. He would need to find around $5bn in order to complete the deal. Put it on black. Keep calm the game is afoot with news that Bruce Gordon from WIN TV was behind the purchase of the Nine Entertainment (NEC) -0.97% shares last week. The deal was done by Deutsche Bank in a convoluted financial deal designed to protect his interests as he already holds 15% of NEC and cannot go any higher under present rules. He does not own the shares Deutsche does but he benefits from any price appreciation. A huge CFD really. The seller was US hedge fund, Apollo. BHP -1.83% today presented at the Global Iron and Steel forecast conference in Perth, which continues tomorrow. The bid for the iconic S.Kidman & Cos pastoral holdings has taken another turn as the Chinese bidder tries to satisfy xenophobic fears and the FIRB. It is working on a local partner in the shape of Australian Rural Capital (ARC) +13.64% who is keen to take a 20% stake in the $370m ranch. Given that the ASX listed ARC is only capped at around $4m it seems a stretch and it is relying on a plan to allow local investors to take a part of the action through a fund. NAB said its main business conditions index climbed 3 points last month, to 8 points, while confidence held steady at 3 points. Service companies were the most upbeat on conditions, noting improvements in trade, profit and employment during the month. Forward indicators were also positive, with capacity utilisation hitting a four-year high and investment intentions strong. Laggard industries such as mining and wholesale bounced back after sharp declines in January. Reserve Bank deputy dawg Philip Lowe was speaking today and despite a Dorothy Dix on exchange rates he really didn’t try to jaw bone the AUD down at all. “I think, like everyone, we would welcome a slightly lower exchange rate” to help with rebalancing of the economy. Dr Lowe also expressed confidence that the housing market, the subject lately of a scare campaign by foreign investors, appears to now have a “better balance between supply and demand” than it did in 2010. He also highlighted that commodity exports had collapsed 40% and still the economy had expanded at a reasonable rate. The trade surplus dropped to 209.5 billion yuan (US$43.35 billion), down from last month’s 406.2 billion yuan. China’s passenger-vehicle sales rose 6.3% in the first two months of this year, buoyed by a cut in the purchase tax for vehicles with smaller engines. Meanwhile in a land of falling suns it seems that the great ‘Abenomics’ experiment is failing to deliver and voters and companies are getting a little worried. Annualised GDP fell 1.1% in the last quarter. This is starting to approach the definition of insanity. ‘Doing the same thing over and over again and expecting different results’. Michael Bloomberg will NOT run for President. 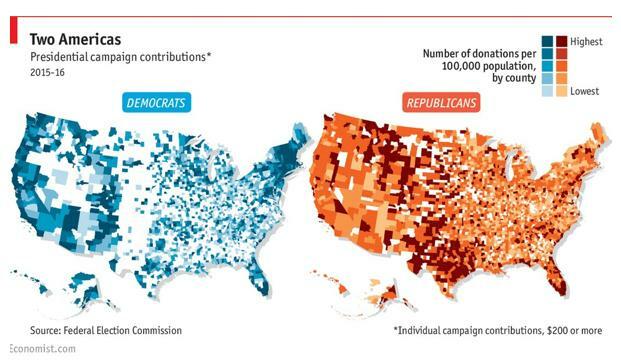 A tale of two Americas. JP Morgan will stop financing new mines. Will lend to companies, not specific projects. The inventor of email has died aged 74. The ultimate out of office message. Banks will be offered billions of pounds of extra liquidity by the Bank of England, in case markets seize up in the weeks around the EU referendum in June according to reports from the Bank of England.